Bath's latest urban chic entertainment club, Walcot House, opened its doors just over 6 months ago with an unforgettable night of live music and entertainment. A tremendous refurbishment project has taken place on the former bakery, which spans 10,500 square feet across 3 floors to expose its industrial heritage. As part of the transformation Walcot House worked closely with installers, Lord AV and Batmink Distribution, to find a sound system that could accommodate its urban look and also provide impeccable sound for what will be a multi-functional venue, including an intimate cocktail bar, restaurant, cafe, private hire rooms, cinema, gym and late night music venue/club. Currently on phase 2 of the refurbishment, Batmink & Lord AV are continuing it's installation project. The install of Void Acoustics Tri-Motion, Stasys series, Air 8 and Indigo 6/6pro loudspeakers and Bias V9/V3/VQ Amplifiers were the perfect complement to creating and enhancing the club's atmospherics and sound and went down a storm on the opening night. Void Acoustics specialise in professional audio systems for the live music sector and have been well known for creating identifiable sounds and ground-breaking design aesthetics, earning Void a worldwide reputation for high impact products that combine sonic and visual innovation. 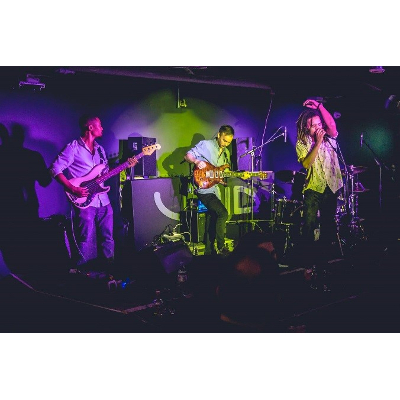 With its pioneering technological advances in sound and design, Void Acoustics was the ideal system to install for what looks to be a fresh and vibrant new addition to the Bath music and live entertainment scene. For more information on the Install of Void Acoustics products or to find out how you can purchase Void products please call our team on 01458 833186.